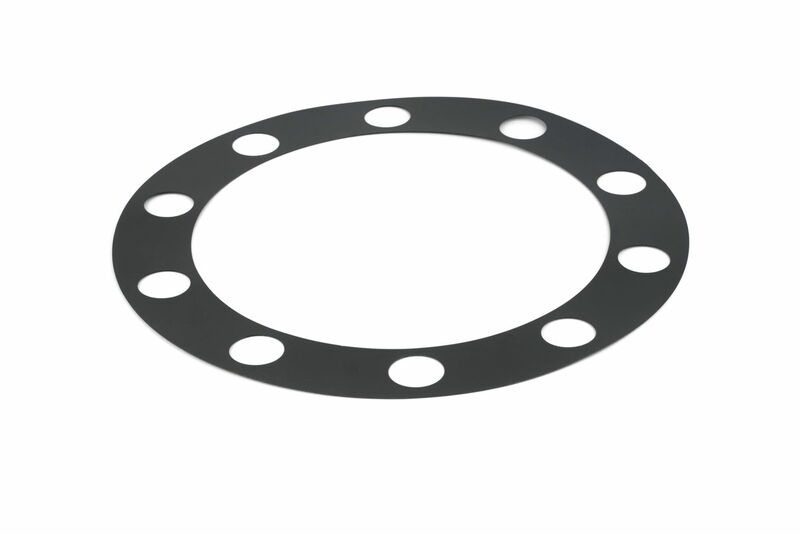 These are an anti-corrosion disc that is specifically made to prevent galvanic corrosion that can sometimes become an issue on aluminium wheels mounted to steel hubs in certain applications. They can be used between Alcoa® wheels to help prevent cosmetic damage on the mounting face of the wheel and they can also can be used when twinning an Alcoa® wheel with a steel wheel to help to prevent corrosion between the wheels. Galvanic corrosion is the main factor that causes aluminium wheels to become difficult to remove from the hub. This listing is for 8 stud fitment with a 275mm PCD. We also stock them for 10 stud fixing - suitable for 22.5" diameter wheels please see other listing. Price listed is per disc. These are an anti-corrosion disc that is specifically made to prevent galvanic corrosion that can sometimes become an issue on aluminium wheels mounted to steel hubs in certain applications. They can be used between Alcoa® wheels to help prevent cosmetic damage on the mounting face of the wheel and they can also can be used when twinning an Alcoa® wheel with a steel wheel to help to prevent corrosion between the wheels. Galvanic corrosion is the main factor that causes aluminium wheels to become difficult to remove from the hub. This listing is for 8 stud fitment with a 275mm PCD. We also stock them for 10 stud fixing - suitable for 22.5" diameter wheels please see other listing. Price listed is per disc.